Sail over to RSYC’s Nautical ballroom for an evening of bonding session among our members! For any new boaters and potential owners, we will have a new Boaters Crash Course (pun not intended!) conducted by Guest Speakers Dione & William Schick, BASCO Singapore, who will introduce you to the world of boating lifestyle and nautical know-how! Right after the course, Members can enjoy live band performances, partake in fun games and lucky draw while munching on delectable finger food! All makeup products will be provided. Attendees are encouraged to bring their makeup brushes for hygiene purposes. Min 6 pax is required to start class and maximum 12 pax is allowed. Expect to have a therapeutic time working with a variety of preserved and dried flowers in different colours. Learn how to design and compose a unique preserved Rose Gift box and take home your own creation. It’s also a prefect gift for Mothers’ Day! All tools and materials will be provided during the workshop. Students can choose to add more flowers at additional cost. A minimum of 4 students is required for the class to be confirmed, and is limited to a maximum of 10 students. Show off your skills at the RSYC fishing competition that will be held on the last weekend of each month starting from May for a period of 6 months. Each session’s catch will be recorded as points and winner with the most points will win attractive prizes at the end of the 6 months. Get your fishing gear ready and sign up with your fishing kakis now! Will you be RSYC Prawning Master? Come join us in RSYC’s first prawning competition and win attractive prizes! It is a great activity where families, friends and fellow members can have a great time together. The anticipation of prawn biting, the excitement of hooking up a prawn and the reward of a great feast of fresh BBQ prawns caught by yourself! FREE SCREENING! No registration is needed. Free Weekly Aqua Zumba lesson for members! 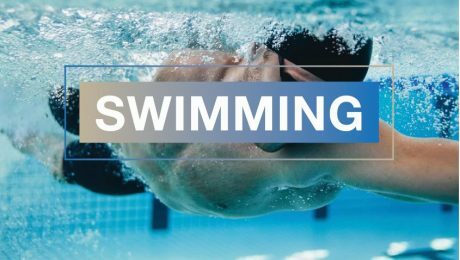 Perfect for those looking to make a splash by adding a low-impact, high-energy aquatic exercise to their fitness routine! There is less impact on your joints during an Aqua Zumba class so you can really let loose. Water creates natural resistance, which means every step is more challenging and helps tone your muscles. 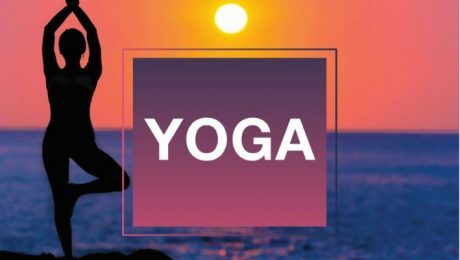 If you have been wanting to learn yoga, now’s the chance to get started! Minimum of 8pax per class. Participants are encouraged to bring their own yoga mat and water bottle. Equip your child with essential swimming skills, as well as endurance, muscle growth and cardiovascular fitness! Swimming keeps the heart rate up, while taking stress off the body. Lessons are held in 1-hr sessions. Minimum age for participants is 5 and above. Participants are encouraged to be in proper swimming attire.